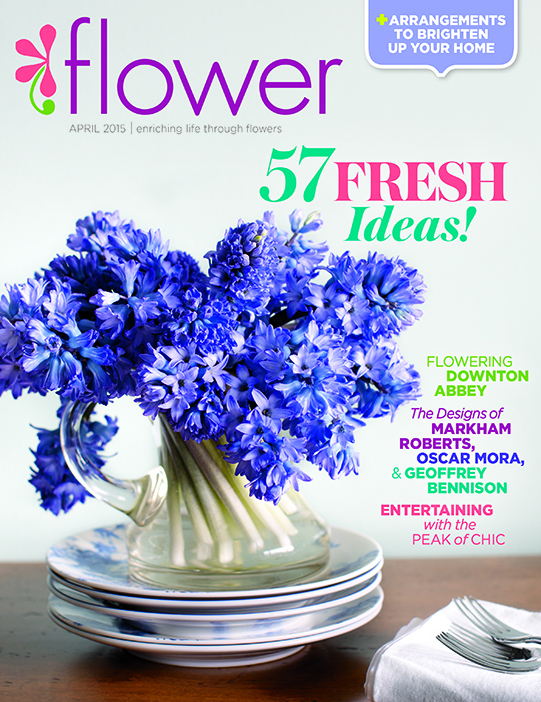 I’m very pleased to announce that Sullivan Owen was named one of Martha Stewart Weddings Top 62 Floral Designers in their Spring issue, out now. It’s always exciting to be acknowledged for your hard work and creativity. I’m very grateful for our clients, current and past who trusted me and my team to do our own creative, original work for your events and so I say thank you to all of you! *Update* Due to a server issue, all applications received prior to Saturday May 10th were lost. Please ONLY reapply if you applied before Saturday May 10th. Applications received on or after Saturday May 10th have been received. Thank you! 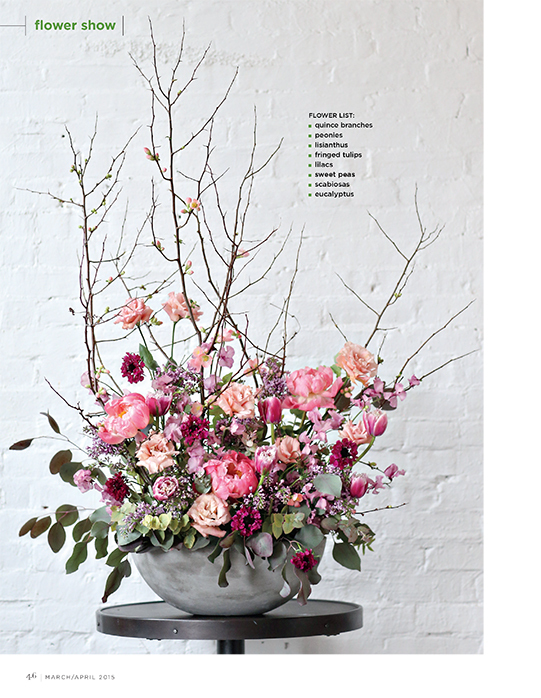 Philadelphia’s most creative and rapidly growing floral design studio is looking to expand its team. There are several opportunities available for the right candidates. We will be accepting resumes via email. We will be conducting interviews quickly and making our hiring decisions fast. Please do NOT call or send additional emails about the open positions. Send a resume and cover letter, with links to your portfolio if applicable, to hello (at) sullivanowen.com. If you are a good fit, you’ll be contacted for an interview. Unsuccessful applicants will be notified when the positions have been filled. Again, we are a busy delivery studio so please do not call to inquire about the status of your application. This is an excellent entry-level opportunity with part-time hours Monday through Friday and the occasional Saturday during wedding season. The position requires approximately 25-28 hours a week, with a schedule of 9am to 2pm during the week and the possibility of some Saturday hours. Ideal candidate must have a valid driver’s license, a clean driving record and be comfortable driving in Philadelphia and the surrounding suburbs. Daily tasks include processing bulk flower orders, order taking, packaging orders for delivery, ringing up sales, sending delivery confirmation emails, completing deliveries as well as light errand running, maintaining the studio, restocking shelves and supplies, and light cleaning. This is NOT a floral design position. The candidate may be considered for training for future design opportunities after a 6-month period should they prove to be a good fit. 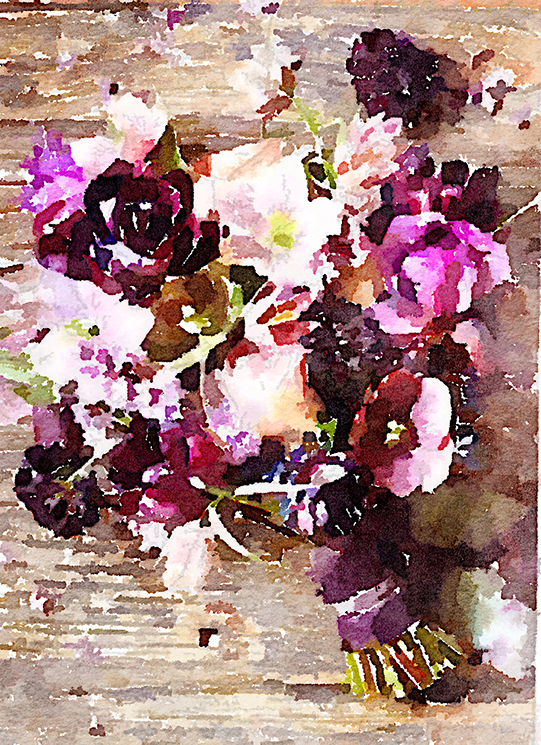 This is the perfect opportunity for a seasoned floral designer to have a flexible schedule in a creative environment with an hourly rate commensurate with experience. The ideal candidate will have a flexible schedule with some Saturday availability and a strong body of work with a versatile design style. The candidate must demonstrate design skills in a practical demonstration during the interview process. Formal design training from an accredited program is preferred. Projects might include execution of wedding orders, delivery and set-up of weddings, completing daily delivery orders during heavy weeks, and the occasional processing of bulk flower purchases. The position requires approximately 21 hours a week, with a part-time schedule of Wednesday through Friday and occasional Saturday hours during wedding season. Successful candidates will be required to sign a non-compete agreement. It's no secret that I adore Instagram. 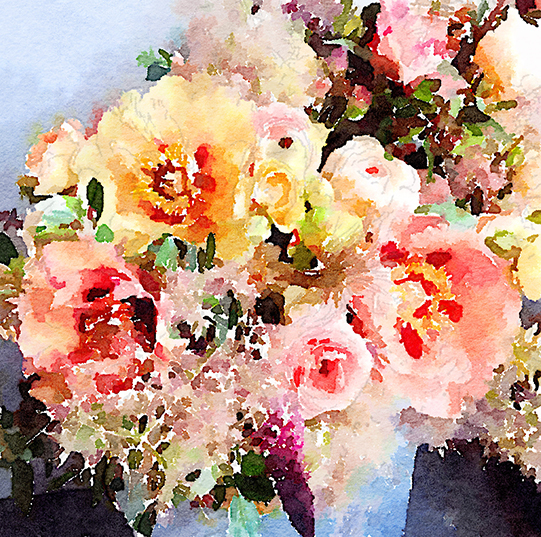 I've been looking for a way to make my old round up posts feel new and the Waterlogue App is just the thing to mix it up this month. 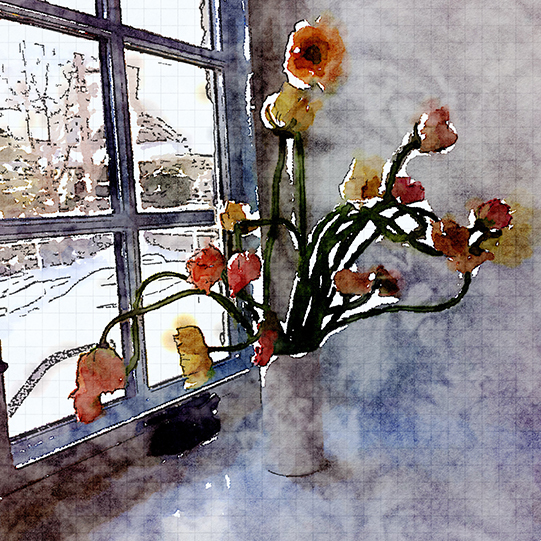 Waterlogue debuted about 10 weeks ago but I saw it making the rounds at the beginning of February and immediately started running images through it's watercolor inspired filters. Not wanting to blow up my feed with 8 million photos people have seen before I've been collecting them for this post. Today marks three years since this website went live. Of course Adriene and I were working in the studio three days prior to the site going up but no one knew we were there. So today is the date that I officially count as the business anniversary. Every year I think about throwing a grand party to celebrate. I think that’ll probably have to wait till Year Five; fingers crossed there won’t be a polar vortex in two years. In summation, I’d like to say that despite dealing with vicious copyright infringement, proposal theft and website plagiarism, I’m so happy that our clients continue to allow me and the team to keep doing the best work we can for them. Though we are a talented bunch, part of the reason we continue to develop as designers is because our clients trust us to keep amazing them! Thank you clients! Only 2 weeks left till Valentine's Day! It couldn’t be easier to make sure you get the exact flowers you want this Valentine’s Day. We've taken three of your favorite designs and turned them into beautiful floral palettes that we’ll be arranging in our always interesting vase collection. This helps make things easier on your sweetheart, too! Just save and send the image of the flowers you love the most to your special someone and we will take care of all the rest. Designs start at $100 and delivery is available all around Philly, the surrounding suburbs, and even parts of New Jersey and Delaware. Delivery to your office is preferred because we’ll get your flowers to you earlier in the day and you’ll get to show off just how awesome your honey is! But make sure your sweetheart contacts us ASAP at 215 964 9790; we sold out early last year and expect to do so again this year! Here's to a fabulous Valentine's Day! We're so happy to announce that we will now be offering online ordering in addition to our great phone ordering experience. We know how much everyone loves to chat with us and we really do love hearing the details of who and why you're sending flowers but we also recognize that it's not always feasible to pick up the phone for a 10 minute chat with your favorite florist. 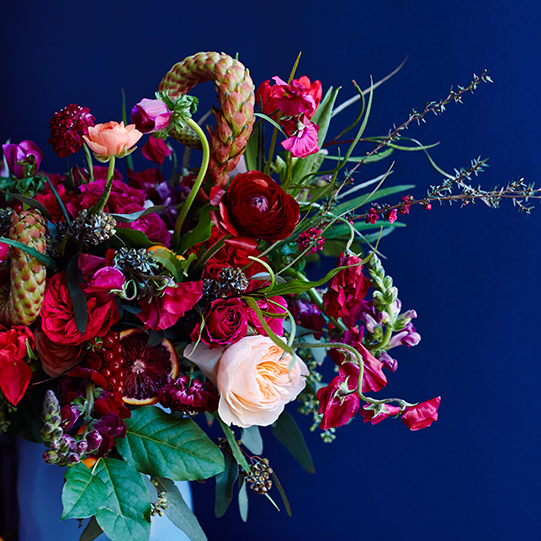 We're also available to help you send flowers around the country and internationally via a consortium of hand selected florists around the world so you'll know you'll be sending the same innovative, high quality flowers just like ours anywhere you need them. Back in November, the Sullivan Owen team packed up a couple of box trucks with all our worldly floral possessions and moved 3.4 miles across town to Fishtown to our new studio in Paper Box Studios. Our closest neighbors outside the building are 8-10 beautiful horses who live across the street at the 76 Carriage Company. Inside the building are lots of creative businesses including Dollface, Wren & Field, Courtney Apple, Red Balloon PR and Printfresh. Why did we move? Queen Village, though a lovely neighborhood didn’t really have the space that we needed and there was a bit too much parking traffic to deal with on a busy wedding Saturday. 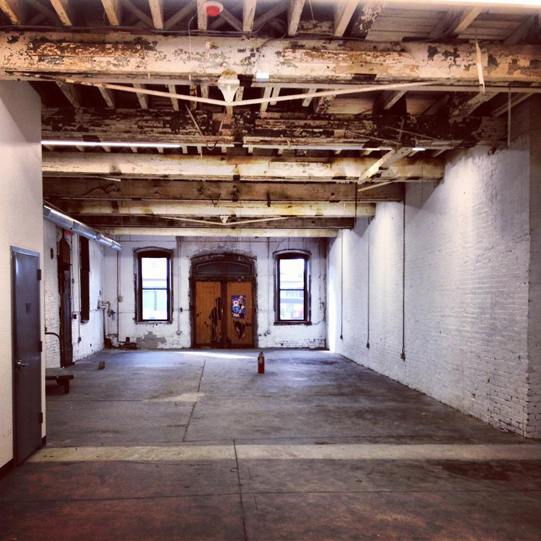 While we’re no longer in a traditional storefront space, we have a ton of room to have a big client meeting space, a huge work room, 2 walk in coolers and a big storage garage. Plus a cozy napping sofa for my market days when I get up at 3! Here’s a quick Vine from inside the space and some random snaps. I’ll share more photos soon as we slow down clean up to take them! We sincerely recommend ordering early, since we work in distinctive color palettes our unique designs will be limited and we expect to sell out early this year. Ordering early guarantees you'll get the design you want in our signature style. Thank you for your continued support and happy new year! 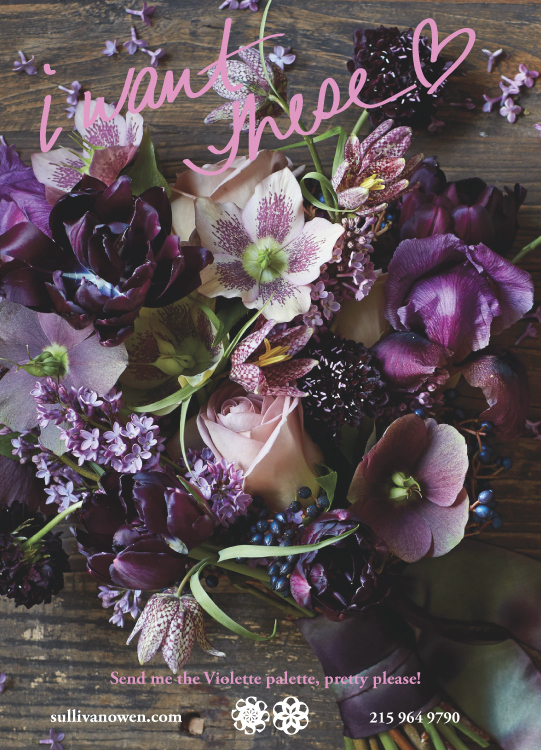 The studio is open from 9AM-7PM today for all you last minute cupids to pick up some last minute bouquets or readymade designs. While we're between delivery runs I wanted to say a quick Happy Valentine's Day to my husband T.O. These photos by Lorraine Daley are from our wedding and since our wedding is what kicked off my floral career, I thought I'd share my bridal bouquet as well. I love making bridal bouquets and while I get to make all kinds these days, I still love looking at this one! 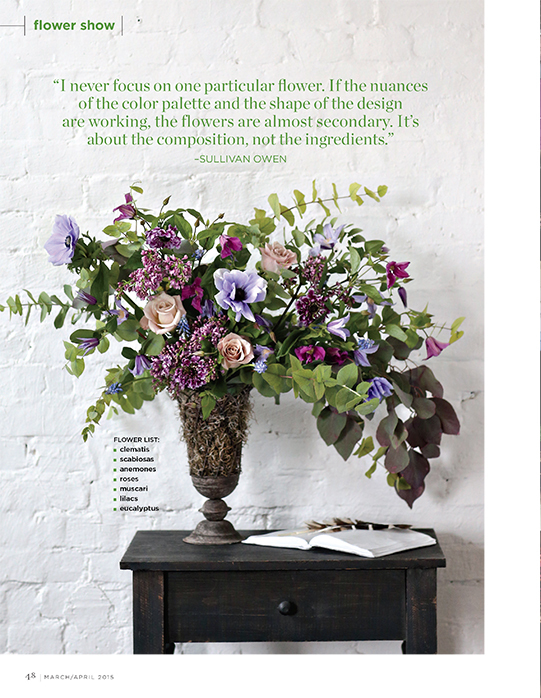 Valentine's Day is just around the corner and here at Sullivan Owen we've been busy prepping for the Super Bowl of flowers. If you'd like to receive (or send) the best flowers in Philadelphia this Valentine's Day, forward this post or save the photo below and send it along to your significant other. We'll help them make sure this is the best Valentine's Day ever! Orders placed before February 8th will receive free deliver to anywhere in our delivery area. Happy Holidays everyone and thank you for an amazing first year! The blog has been quiet the last week or two but the studio has been crazy. 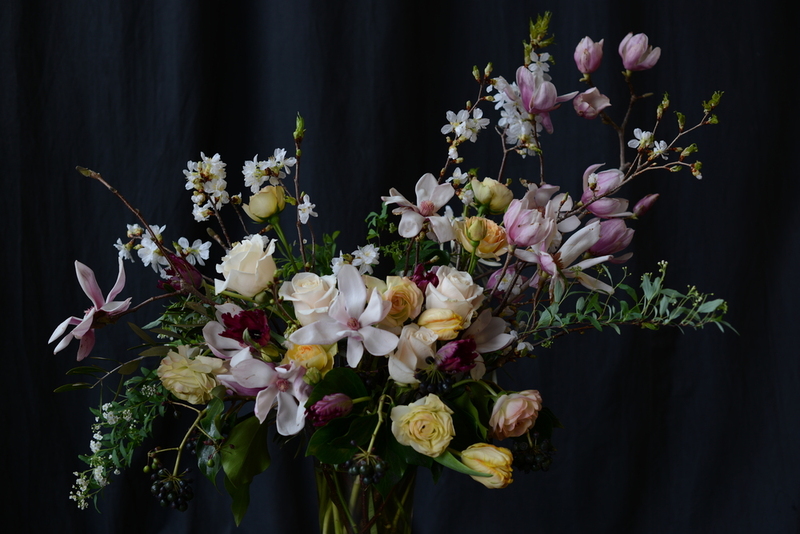 We had an out of control Thankgsiving week with a spectacular centerpiece class, Sullivan Owen designs graced tons of tables in the Philly area on Turkey Day and a sophisticated Black Friday wedding. I have a lot to be thankful for this year, especially our awesome clients and couples! Well, after an insanely gorgeous photo shoot with the always great Lorraine Daley today I am heading out for my birthday weekend in New York City with my hubby T.O., not sure what we're going to get up to but we're definitely going to have some fun! I hope everyone has a great weekend, I know I will because this is what's waiting to be washed on Monday! Instead of hearing from me today I'm going to share some of the kind words our happy clients have sent in the last few months. 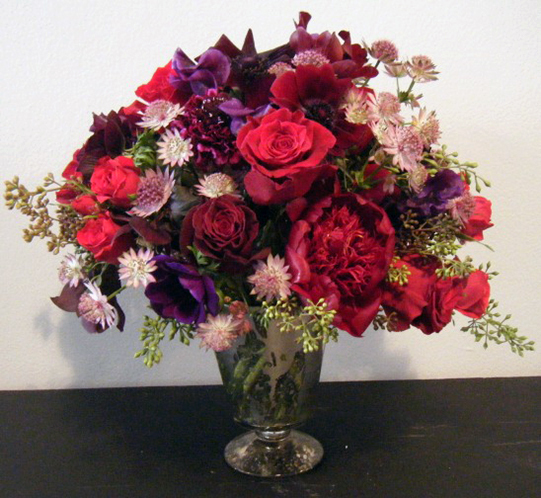 “I wanted to quickly say thank you for your truly gorgeous flower arrangements on our wedding day! I can't tell you how many compliments we got on the arrangements, my bouquet and the banister design. It was hard for me to put my bouquet down; it completed my dress! Thank you. Thank you. Thank you. We are so lucky to have found you at the eleventh hour. 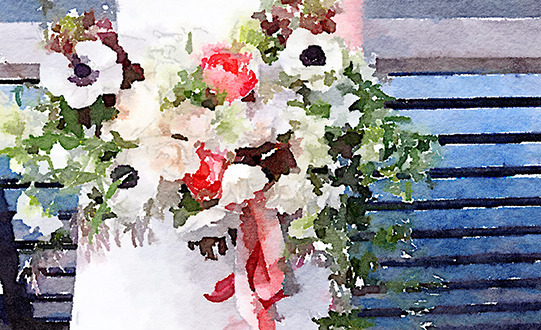 "We just wanted to send a note of thanks for the gorgeous floral arrangements you created for our wedding. The arbor, the centerpieces, the boutonnieres, everything was gorgeous, unique and exactly what we had hoped for. We were completely blown away by the colors and how lush and natural you made everything. We did not want our arrangements to be the "typical" wedding decor, and you work was absolutely anything but, It was absolutely perfect. Thank you, thank you, thank you. Today was a whirlwind of deliveries, here’s some of today’s designs. Lea, one half of the dynamic duo that mans the very busy front desk at Urban’s corporate headquarters received this gorgeous design from her team mates. She’s always helping us get our deliveries to the right folks around the home office so we were happy to make her an extra special design on her birthday. Happy Birthday Lea!